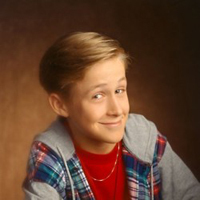 Ryan Gosling may be a heartbreaker now, but he was making the ladies go crazy all the way back in 1991 when he was just 10 years old. An old video of Ryan singing and dancing at a talent show at The Church of Jesus Christ of Latter Day Saints in Cornwall, Ontario, has been uncovered – and it was two years before he became a star on Disney’s Mickey Mouse Club along with Christina Aguilera, Justin Timberlake, and Britney Spears. Check out Ryan Gosling’s childhood video! The three-and-a-half minute clip starts out with Gosling, now 31, singing the ‘60s classic, When a Man Loves a Woman. Dressed in a red-and-blue silk shirt and black MC Hammer-style pants, Ryan works the stage like a pro as he gives the crowd an emotional performance. Gosling is then joined onstage by his older sister Mandi, who is dressed in the same outfit as her brother, and the two launch into a choreographed number of C&C Music Factory’s Everybody Dance Now complete with ‘90s dance moves like the Roger Rabbit. 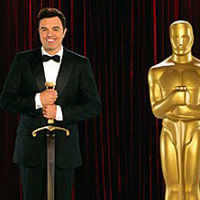 After he and his sister are through with their performance, the curtain falls and the future movie star pokes his head out for one more round of applause. Oh, you can already tell he was born to be an actor with that personality as he flirts and taunts with the crowd! Truly talented dude even then, you can see how it’s develolped. Saw The Notebook but haven’t seen much other of his stuff but after seeing this I’m wondering if his talents are being underused! 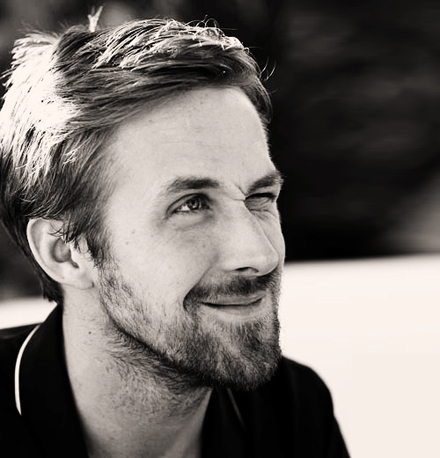 Ryan Gosling has the sexiest voice in the world! Confirmed: Britney Spears’ new single ‘Hold It Against Me’ is out this month!